Adulting life can get so much busier. Morning bustles, restless office appointments, nightly house chores – all these can get in the way anytime. If you are not a pro in time management, you might end up missing out some of the important stuff in your life like your daily oral care routine. You may find it too tiring to even lift a dispenser of floss because of physical exhaustion. But is it enough reason to skip flossing? Are you prepared to deal with its consequences? Dental professionals recommend flossing the teeth at least once daily. When you floss, you are getting rid of the leftover particles in the mouth which brushing failed to eliminate. We at The Holistic Dental Center want to stress the importance of this routine because we know how the lack of flossing can harm the overall oral health of a person. Unless you don’t want yourself to suffer from tooth decay, gum disease, and other severe oral complications, you should take time to remove the unwanted residues in your teeth. Are you struggling with laziness when it comes to doing your day-to-day oral care sesh at home? Flossing may not be as convenient as brushing, but they are both essential to one’s oral health! As part of our Dental Hygiene service under preventive care at The Holistic Dental Center, we will give you some tips on how you can get yourself to floss every day. With all the hectic schedule that you have, you will definitely need to get rid of the “hunting game” every morning just to look for your nowhere-to-be-found-floss. So remember to store your floss container in a place where you can usually find it. Rather than keeping it inside the bathroom drawer, leave the floss dispenser on top of the sink, beside your toothpaste and toothbrush. Do you tend to become forgetful lately? Befriend your alarm clock! You can download a specific app in your phone or make use of the built-in one. Use this to remind you of your daily flossing activity. 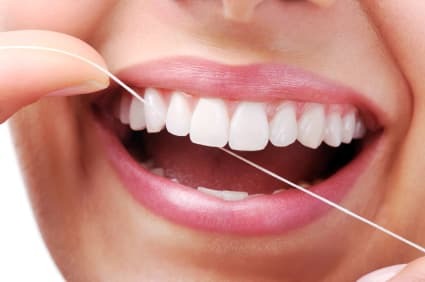 One of the reasons why people are not motivated to floss is that they lack knowledge of how flossing can benefit them. Our tip? Make use of the internet and research the advantages of the said oral care routine. You can also ask our dentist at The Holistic Dental Center for additional information regarding it. Get more information about Preventive Care in Spokane, WA. Our priority at The Holistic Dental Center is to help you achieve excellent dental health throughout. We are glad to be your oral health care partner. If you have inquiries concerning our dental services, visit us at 731 W. Indiana Avenue, Spokane WA 99205.